BrokerSumo offers brokerages the ability to sync their SkySlope transactions into BrokerSumo. To activate the integration go to Settings > Integrations and click the Edit SkySlope Setup button. 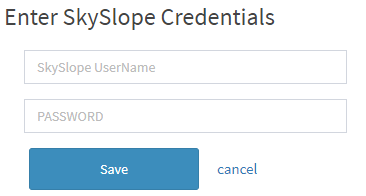 On the next page click the Change Password button to enter your SkySlope credentials to activate the sync. Once you've entered your credentials you'll be taken back to the sync page. Next, select a close date for how far back in SkySlope you want to sync your transactions. Next click the Sync SkySlope button and your transactions will begin syncing. What data will be synced from SkySlope to BrokerSumo? BrokerSumo will sync the address, close date, commission info, buyer, seller and MLS info from SkySlope. If your transaction is missing the sales price, commission info or close date, then it won't sync that transaction until those fields are completed. While you are working through the deal in SkySlope, if you change info such as the close date, sales price, etc... the next time you sync your transactions, that data will be updated in BrokerSumo. When you are ready to close your transaction, do one last sync, and then the data in BrokerSumo will be updated and ready for you to run a commission disbursement and get paid. Once a commission disbursement has been created and saved, the transaction will no longer be updated with new data from SkySlope.